Microsoft CEO Ballmer Retiring Within The Next Year : The Two-Way Steve Ballmer became the company's CEO in January 2000. In recent years, Microsoft has come under increasing criticism for not keeping up with the shift to mobile phones. Microsoft CEO Steve Ballmer speaks at the Microsoft "Build" conference in San Francisco in June. 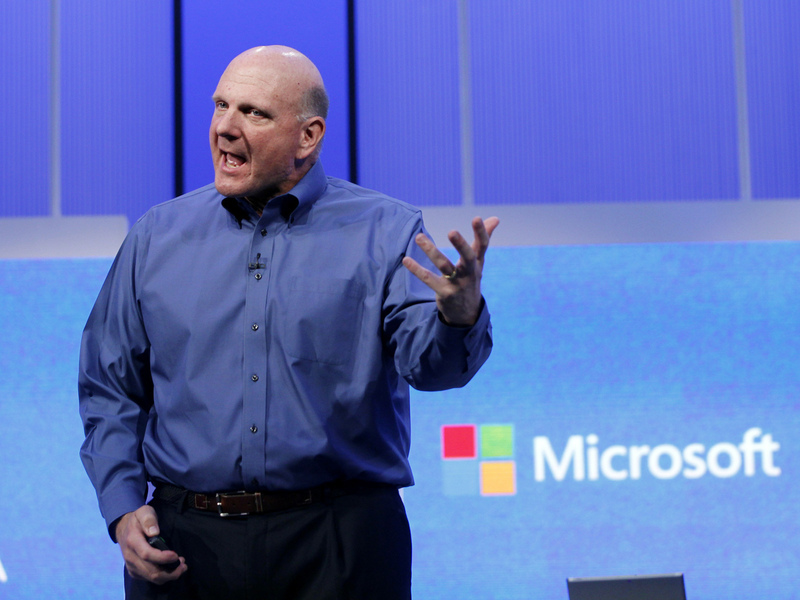 Steve Ballmer will retire as CEO at Microsoft within the next 12 months, the software giant announced Friday. "In the meantime, Ballmer will continue as CEO and will lead Microsoft through the next steps of its transformation to a devices and services company that empowers people for the activities they value most." "There is never a perfect time for this type of transition, but now is the right time. We have embarked on a new strategy with a new organization and we have an amazing Senior Leadership Team. My original thoughts on timing would have had my retirement happen in the middle of our company's transformation to a devices and services company. We need a CEO who will be here longer term for this new direction." "Microsoft was founded a generation ago with an audacious goal: Put a PC on every desk, and in every home. In the developed world, it succeeded. But the next 3 or 4 billion people who get connected are likely to do it on mobile phones. ... And Microsoft has been left behind. In response, Ballmer announced a new mission: to create families of devices and services that work together seamlessly. And he unveiled a new corporate structure, which he said would make that happen." The Wall Street Journal adds that under Ballmer, who became CEO in January 2000, "Microsoft has endured years of investor criticism as the rise of mobile devices and Internet services eroded the influence of the personal computer-era kingpin." In premarket stock trading, the Journal says, Microsoft's shares "jumped 7.9 percent to $35" this morning. Bill Gates remains chairman at Microsoft, which he founded in 1975 with Paul Allen, a childhood friend.